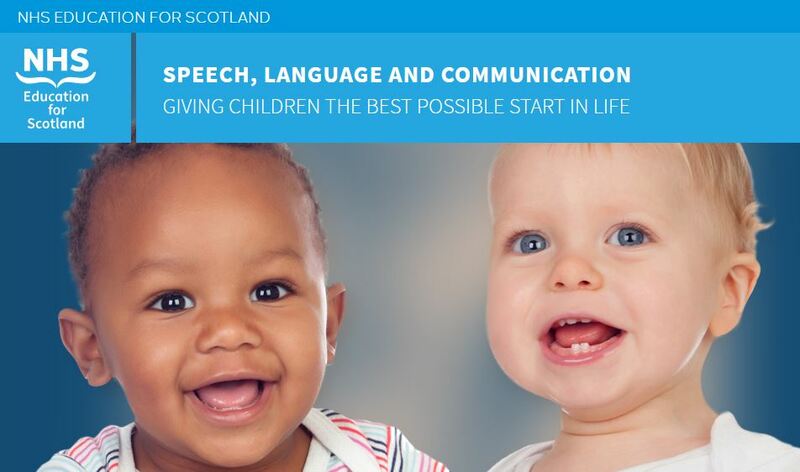 The “Speech, language and communication: ‘Giving children the best possible start in life’ ” resource supports students, qualified health visitors and family nurses to develop the skills to work effectively in meeting the speech language and communication needs of children in Scotland, as well as empowering parents to give their children the best possible start in life. To improve the confidence of early years workers in supporting speech, language and communication development in young children, a working group consisting of lecturers and practitioners in health visiting, speech and language therapy, and psychology worked together to develop the speech, language and communication resource. Using the principles of GIRFEC and the Universal Health Visiting Pathway (Scottish Government), the resource aims to support students and qualified health visitors and family nurses develop the skills to work effectively in meeting the speech language and communication needs of children in Scotland, as well as empowering parents to give their children the best possible start in life. The tool is interactive and versatile and can be accessed on a computer, tablet and smart phone and has the flexibility to be used to support decision-making and practice regarding speech language and communication in the client’s home or in the clinic as, and when, needed. The tool also signposts practitioners to suitable resources to help empower parents to promote speech, language and communication in their children, and give them the best possible start in life. This resource was created by NHS Education for Scotland.